Our cozy infant room is a nurturing environment ready to meet the individual needs of your baby. 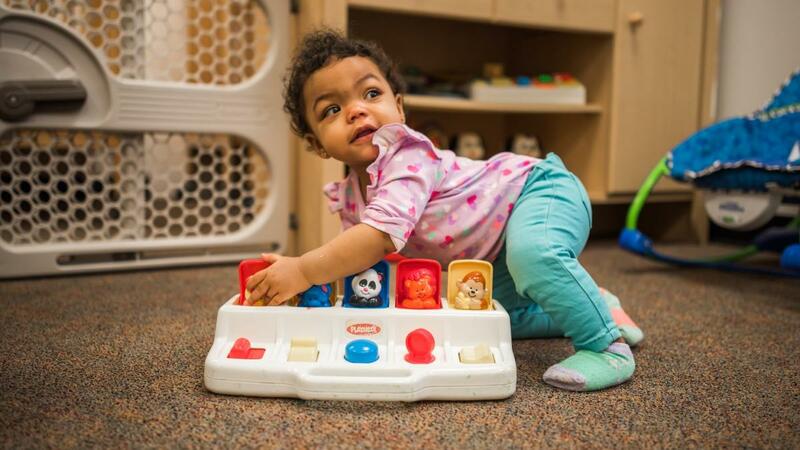 Our experienced caregivers work to help each child to reach his or her milestones through carefully planned activities that foster growth and development. We have daily communication with parents to give updates on baby’s progress or changing needs. Our environment is created to stimulate growth in every child and continually is adjusted to meet the rapidly growing needs of a developing infant. As your baby grows, more complex skills and concepts are introduced as appropriate for your child. Parents are always encouraged, no matter what the age of your child, to visit as often as they wish to.